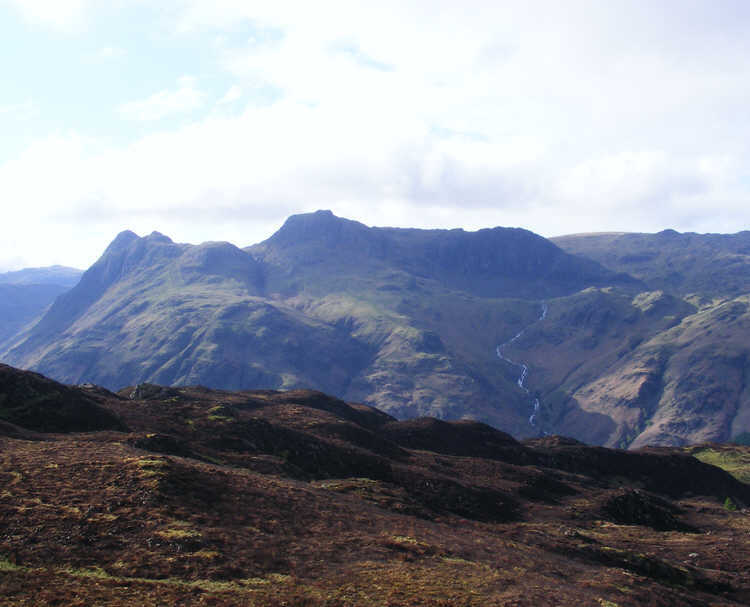 The summit of Lingmoor Fell is a great viewpoint for the Langdale Pikes. Here Pike O'Stickle is on the left, Harrison Stickle is in the centre, and Pavey Ark makes up the dark bulk to the right. Stickle Ghyll can be seen coming down from Stickle Tarn, which is hidden.